It’s been forever since I posted! 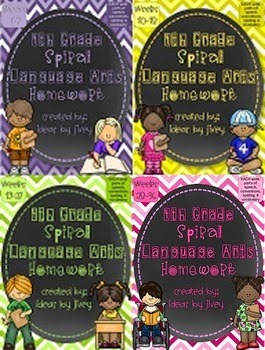 I’ve been so busy with blog designs and the next installment of my my Morphology Unit, I just haven’t had the time. 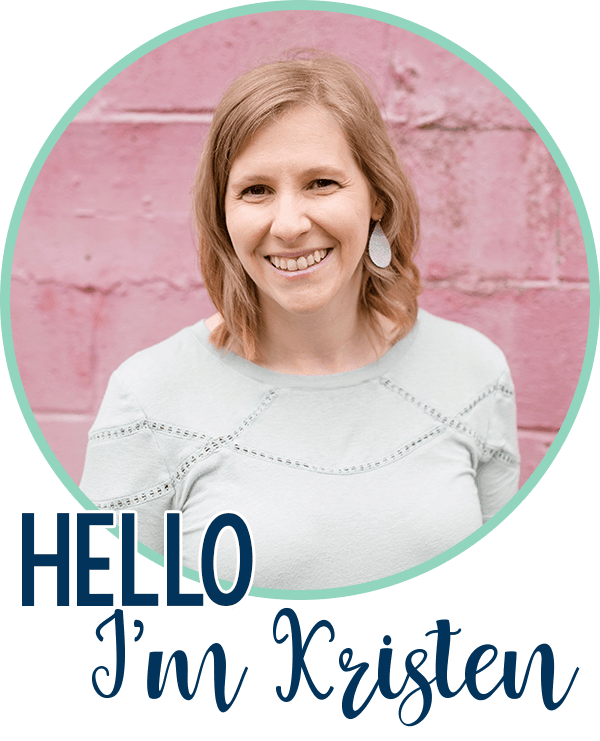 I’m excited to be linking up today with Teaching Trio, my collaborative blog, to share three of my favorite things. 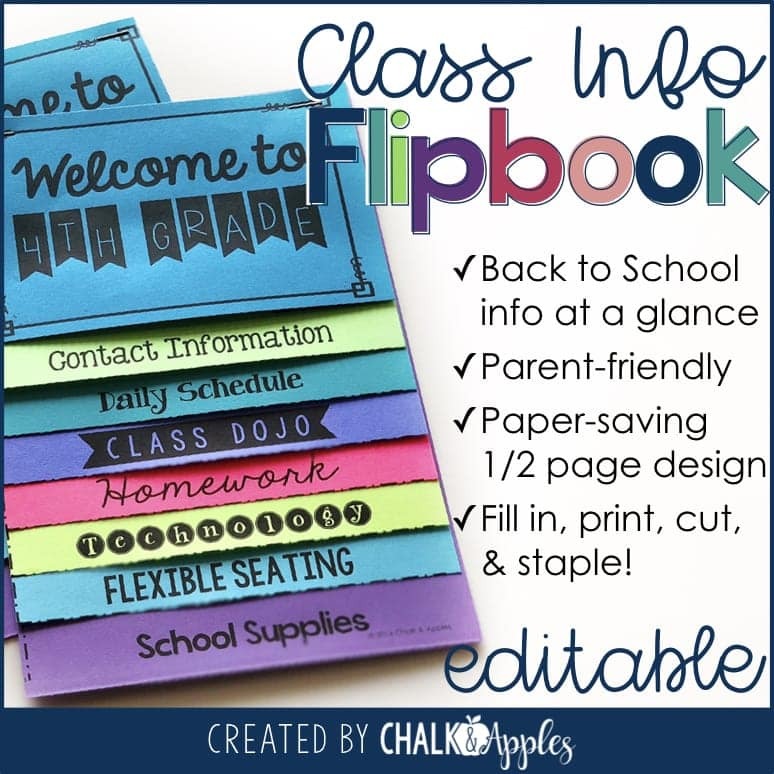 I love a really well put together resource that I can use over and over, especially if it’s something that lasts all year. 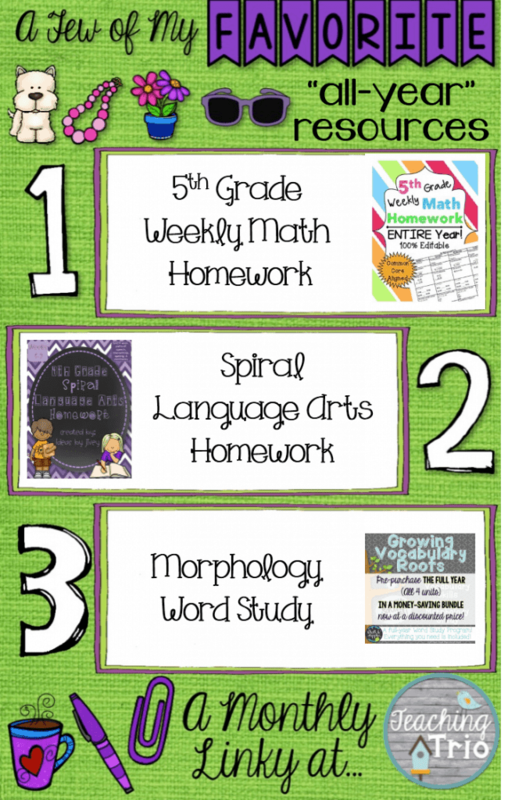 This month, I am sharing three of my favorite “all year” resources from TPT. 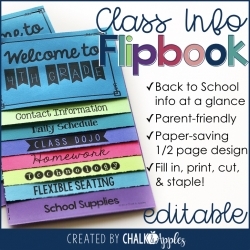 These have made my teaching life so much easier this year! 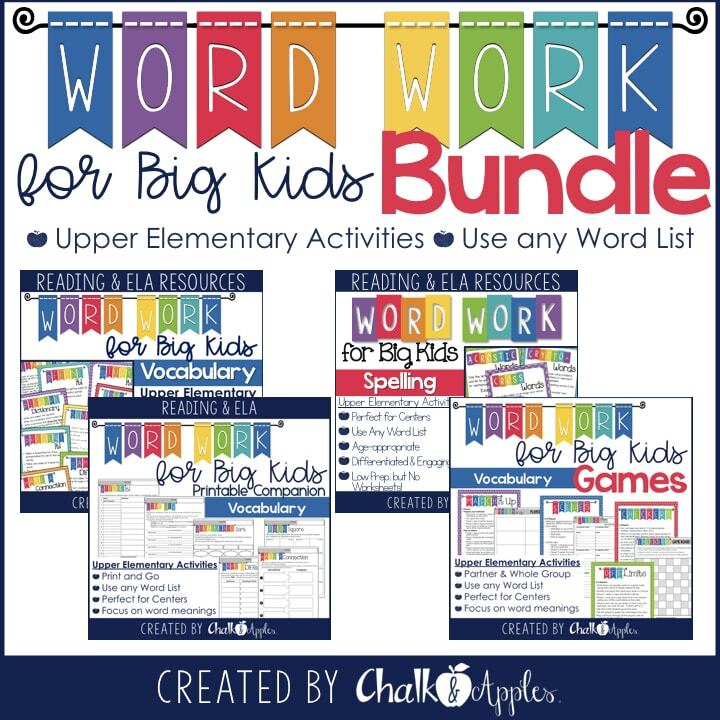 I’ve only been using this year-long homework bundle for a couple of months, but I love it, and I can’t wait to use it for an entire year starting in the fall! 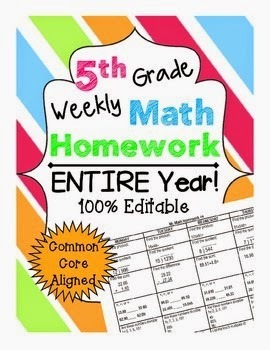 This homework covers all of the Common Core standards from start to finish, so if you teach in that order, it’s all laid out and ready to go. If you’re like me and a) jump around a lot or b) teach somewhere that doesn’t use Common Core (yet…), each weekly page is saved separately, and labeled with the standard number and topic covered. Each week is laid out Monday-Thursday on a single page. There are review problems for all four operations, fractions, word problems, etc. I love that each day in the week follows the same pattern. If a student doesn’t “get it” on Monday, when we go over it Tuesday morning, they will know exactly what to do and will get three more days of practice with that skill. 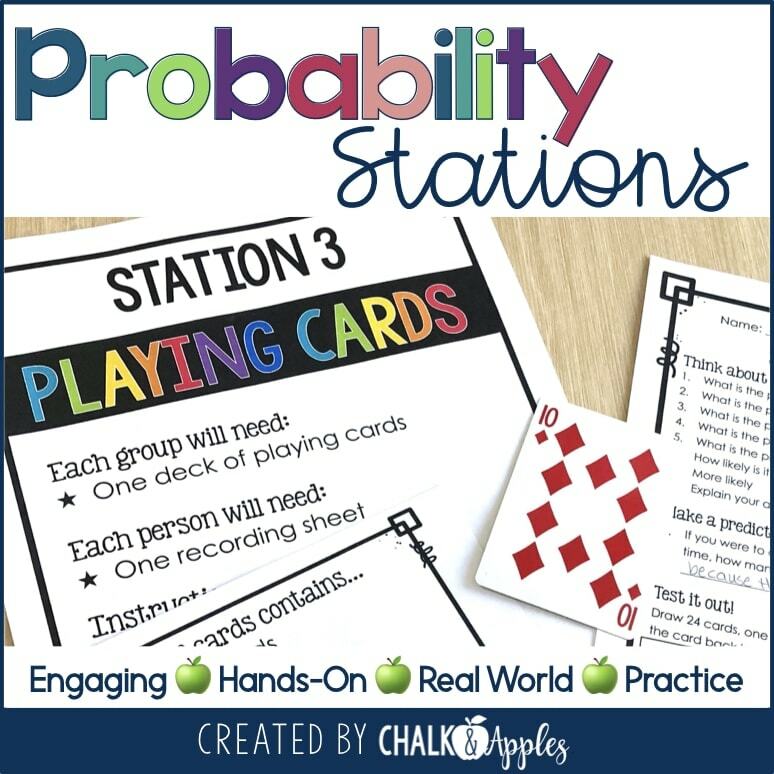 This is a great way to touch on skills that might pop up on standardized tests before we cover them in class or to quickly review skills from fourth grade that are sure to appear on those tests! One of the things I love most about both of these homework packs is that I can run one double-sided copy per student and have my entire week’s homework ready in a snap! I’m maybe a little partial because this one is mine. The vocabulary component of our reading series is really weak, and I wanted something to use to teach vocabulary based on roots instead of just random words that appear in the basal. Last year, I tried using Flocabulary, but I just didn’t love it. 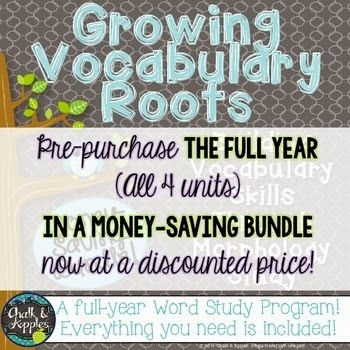 This past summer, I started working on my Morphology Word Study bundle. I wanted to create a unit that was completely planned and ready to go for vocabulary instruction. I have been so impressed with the way my students have grown this year through teaching vocabulary this way. When we run across a new word in our reading, they will often say, “well, it has hypo in it, so I know it means below or not enough,” and from there, they begin to decode a brand new word. It’s so exciting to watch those lightbulb moments happen right in front of me! Those are three of my favorites for this month… What are yours? Link up with Teaching Trio to share them!